Moroccan black soap “Beldi” is a very thick golden brown paste with green highlights. Black Soap is part of a soothing skin treatment. This fabulous product is rich in minerals helping clean and detoxify your skin while leaving an extraordinary smooth and silky finish. Enjoy what Moroccans have known for centuries…Beldi Black Soap is the secret to clean, healthy, radiant skin. The soap “Beldi” is a 100% natural plant product. Based on an olive oil pulp this soap is extremely rich in vitamin E and is a great emollient, exfoliator and moisturizer. It cleanses the skin by removing dead cells and toxins leaving the skin soft and silky to the touch. Thanks to this high content of vitamin E, it helps to revitalize the skin, acting against dryness, dehydration and aging skin. This soap lathers modestly and you will love the richness of its texture. The soap is suitable for all skin types and particularly enjoyable for dry and mature skin. The black soap is part of the traditional Hammam ritual. With a texture of butter, this natural vegetable paste based with black olives is rich in vitamin E. It is obtained from a mixture of oil and crushed olives, soaked in salt and potash. In the nineteenth century it was used as a product of Dermatology and later became a real beauty tool for the body suitable for every type of skin. Try our Black soap with Eucalyptus, it helps relax the body and adds to the soap some antiseptic, antibacterial and Anti-inflammatory properties. The Moroccan Clay Mask is made from 100% Rhassoul (also called Ghassoul), it comes from North Eastern Morocco, mined beneath the Atlas Mountains. It has been used for over 1400 years as a soap, shampoo, and skin conditioner. It is renowned for its superior ability to absorb impurities from the skin and hair, unblock pores, and provide beneficial minerals that help to soften and clarify the skin and hair. This super absorbent mask is crafted using Moroccan clay, a purifying clay, that extracts impurities and excess oils without over-drying the skin. Oat beta glucan encourages collagen production and increased cellular turnover while natural antioxidants neutralize free radical damage. When first mined, Moroccan Red or Rhassoul clay appears as polished brown, soap-like clay, which is chunky in appearance and resembling rocks. After further refinement and micronization, the end product is a smooth almost silken earth. Because Moroccan Red or Rhassoul Clay can be used for a variety of professional applications, it is an invaluable enhancement for spa treatments and for personal use. Its extraordinary power of absorption makes it more effective than other clays for cleansing, de-toxification, and general skin treatment. It can be used as soap, skin conditioner, shampoo, and facial and body mask. Reduces dryness, Reduces flakiness, Improves skin clarity, Improves skin elasticity / firmness, Improves skin texture, Removes surface oil and oil from inside and around comedons, Removes dead skin layers, resulting in a general smoothing of the surface skin, and Potent oil removal characteristics. First: make sure your bath or shower is hot and as steamy as possible. For best results, it is important for your skin to be already warm and moist before applying the soap. Apply to your face and body in small circular movements, avoiding eye area. Leave the soap for between five and ten minutes so that the Black Soap may assist in unclogging your skin’s pores and starting the cleansing process. Rinse thoroughly all the soap before moving to the next step. Second: For extraordinary smoothing results following the Black Soap wash with a thorough exfoliation using the Moroccan exfoliating glove or “Kessa”. Rub energetically in a vertical motion (not circular) in order to remove all the dead cells. You will see the dead skin peel away. After the scrub with the Kessa glove this wonderful Hammam glove, your skin is ready to absorb better your next skin care treatment, of our Hammam Spa soap, with Argan Oil, to lightly wash and rinse off. You will be amazed and delighted with the result. Smooth, silky and radiant skin.  Third: After drying and for the perfect complement to the Black Soap treatment continue with a massage using our Hammam Spa pure Argan Oil or our Hammam Spa lotion with Argan Oil. Your skin will never be as silky and luminous. Reduces & prevents split ends. Restores nutrient content to skin cells. This super absorbent mask is crafted using Moroccan clay, a purifying clay, that extracts impurities and excess oils without over-drying the skin. Oat beta glucan encourages collagen production and increased cellular turnover while natural antioxidants neutralize free radical damage. When first mined, Moroccan Red or Rhassoul clay appears as polished brown, soap-like clay, which is chunky in appearance and resembling rocks. After further refinement and micronization, the end product is a smooth almost silken earth. Because Moroccan Red or Rhassoul Clay can be used for a variety of professional applications, it is an invaluable enhancement for spa treatments and for personal use. Its extraordinary power of absorption makes it more effective than other clays for cleansing, de-toxification, and general skin treatment. It can be used as soap, skin conditioner, shampoo, and facial and body mask.